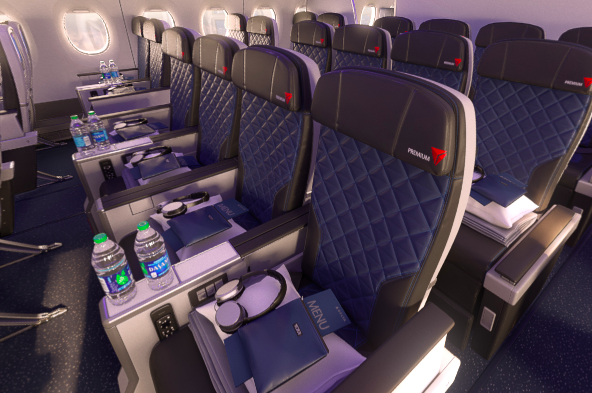 Delta now joins American Airlines in offering a new Premium Economy cabin to compete with the international carriers that have been doing this for years. It’s welcome news to those who pay for what Delta calls “Comfort+” which is just a standard economy seat with a few extra inches of legroom and free drinks. This new Premium cabin will sit squarely between the Coach and Business products – with a bigger seat, more recline, and footrests to make that recline more comfortable. It will also have a real meal service and a bigger TV screen in the seat. A 360 view of the new cabin is on Delta’s press page. I like that they are offering this at all. It’s competitive in the market and the seats look pretty much the same as American’s (although I think American’s may not have the footrests on all seats). It means a return of the 3 cabin aircraft to Delta, since really this is close to the old business class seats (pre-lie-flat) and is it’s own cabin with dedicated flight staff. Comfort +, by contrast, is a joke. The 2-4-2 configuration. Yuck. Do you really want to pay premium prices for this cabin and be stuck in one of the two middle seats? And look at the picture – it looks tight! I would have greatly preferred a 2-3-2 configuration but I know more seats is more money. For Delta Platinum members (who get Regional Upgrade Certificates each year), those certs are NOT valid for Premium class. I suspect that once these seats are for sale, we are going to see them sold around the old Business Class redemption rates while Delta One will soar ever higher. 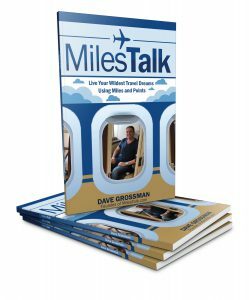 Remember, Delta removed award charts in 2015 so while I (as an obsessive mileshound) know what I should be paying, most do not…. It’s generally good to have more options for seats that aren’t coach…. so by that standard, I welcome the addition. But I also see this move (by both Delta and American) as developments likely to keep me further from my coveted International Business class award seats….